We’re your community connection and we’re doing it again! Z96 and the HSU Educational Foundation want to make sure that EVERY girl gets the dress they’ve always dreamed of! Prom dresses can be expensive and if you can’t afford one, Z96 is here for you with our FREE Prom Dress Store at Santa Rosa Mall! 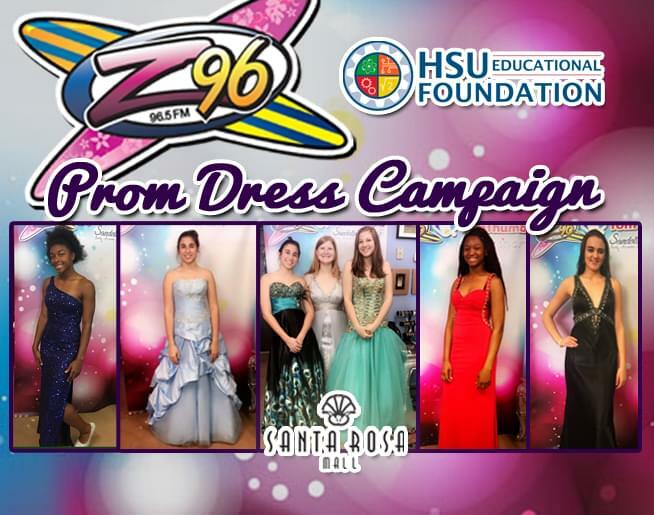 The Z96 Prom Dress Store is open at Santa Rosa Mall and we already have hundreds of brand-new dresses that we’ll give away to girls in need this year. We are still accepting donations of dresses size 12 and up. If you have a gently-used, like-new dress size 12 and up, you can drop it off at the Z96 studios during regular business hours. Special thanks to Dixie Service Cleaners on Racetrack Rd.